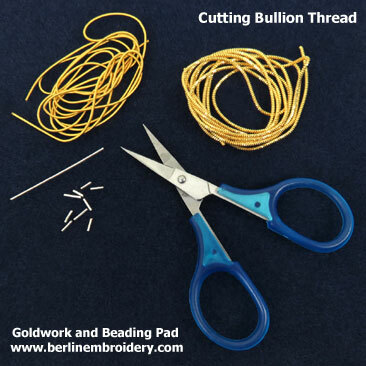 I am discontinuing sizes 3 – 10 of the Bright Bullion as the thread is the larger bullion’s and are not so commonly used and I want to free up some workroom space. 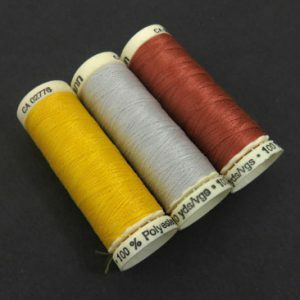 I am selling the thread at 50% off. 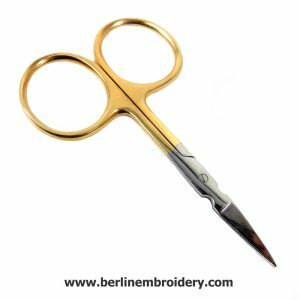 The threads are great for large embroideries, modern and experimenting and are high quality. Available in Gilt and Silver. 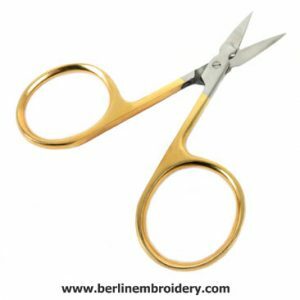 Bright Bullions are made up of a very fine wire thread that is wound into a soft flexible hollow tube with a smooth and shiny surface. 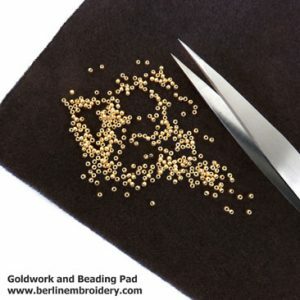 The tube is cut up into chips (beads) and couched down onto the fabric – passing the needle and thread through the middle of the chip so the thread is hidden and can be sewn over felt or crochet cotton padding to give the area dimension. I am discontinuing sizes 3 – 10 of the Bright Bullion as the thread is the larger bullion’s and are not so commonly used and I want to free up some workroom space. 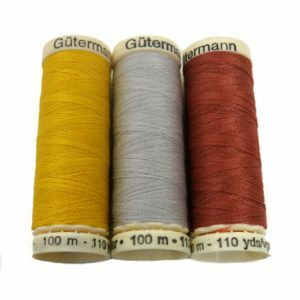 I am selling the thread at 50% off. 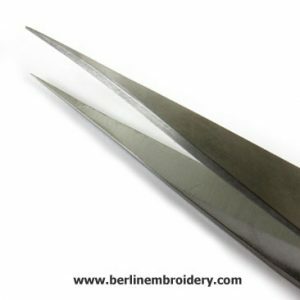 The threads are great for large embroideries, modern and experimenting and are high quality. No. 1 Bright Bullion: Approximately 0.75 mm across the width of the thread. No. 2 Bright Bullion: Approximately 1 mm across the width of the thread. No. 3 Bright Bullion: Approximately 2.5 mm across the width of the thread. No. 4 Bright Bullion: Approximately 2.75 mm across the width of the thread. No. 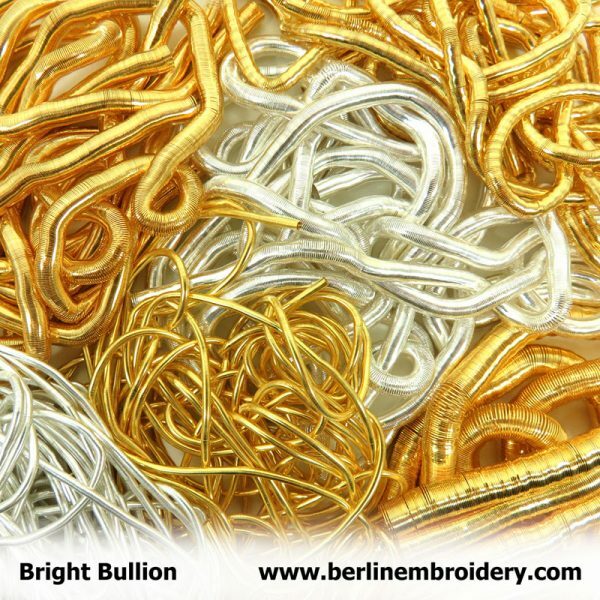 5 Bright Bullion: Approximately 3 mm across the width of the thread. No. 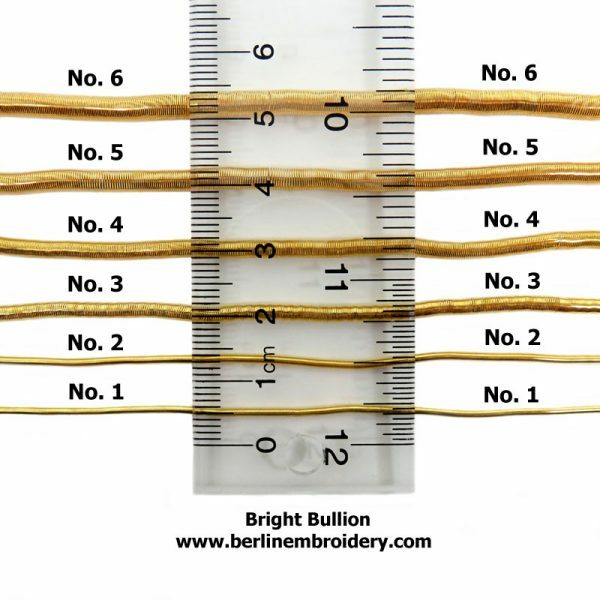 6 Bright Bullion: Approximately 3.75 mm across the width of the thread. No. 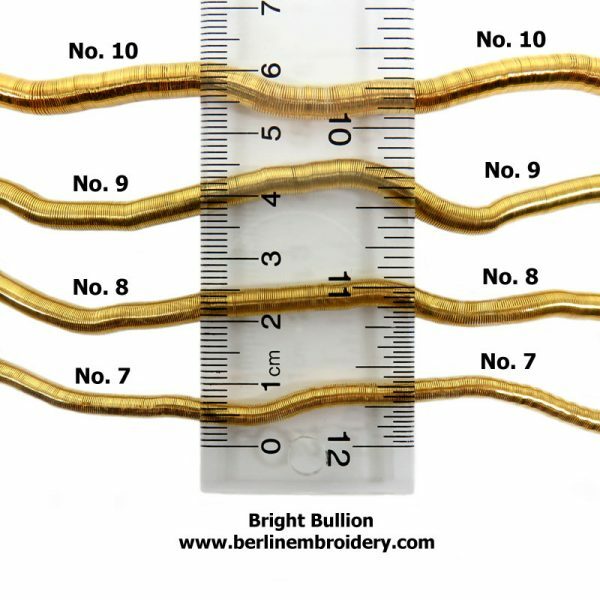 7 Bright Bullion: Approximately 4 mm across the width of the thread. No. 8 Bright Bullion: Approximately 4.5 mm across the width of the thread. No. 9 Bright Bullion: Approximately 5 mm across the width of the thread. No. 10 Bright Bullion: Approximately 5.75 mm across the width of the thread. 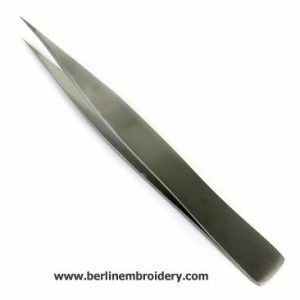 Bright Bullions are made up of a very fine wire thread that is wound into a soft flexible hollow tube with a smooth and shiny surface. The wire of the thread is copper based with a gold or silver plating and will tarnish over time. 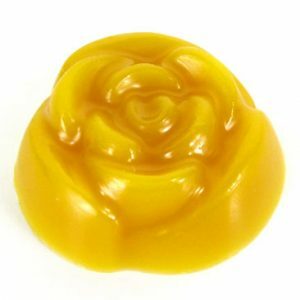 I suggest ordering enough for your entire project as the manufacturing batches of the bullion can vary in colour so you may not get an exact match the next time you order.